I decided to start a blog where I just blog about my random design stuff. 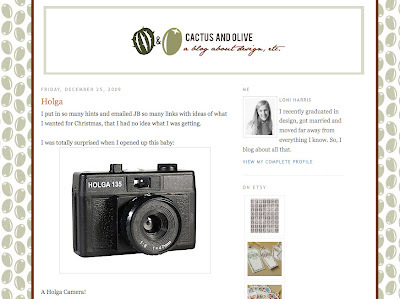 Now this blog will just be about me and JB and the other blog will be all my design and art posts. Man. I could get used to this Arizona stuff. 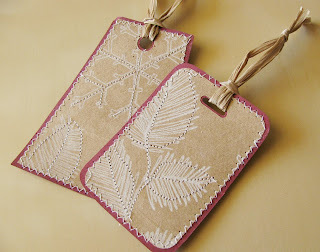 I made these gift tags today and was way excited about how cute they turned out so I wanted to share. I used a grocery bag from trader joe's with a great winter pattern on it and cut out the tag shapes on my silhouette. Then, I stitched them all together on my sewing machine! Christmas is going to be here soooo soon! I still have a million things to do. Oh well. I just stumbled across this link to Scrapscription, a scrapbook kit company. They are using my "Joy" artwork as part of their kit.